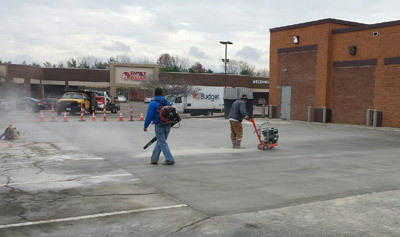 TFR Construction is the premier authority on top-notch commercial and residential concrete services in Central Ohio. With a firm commitment to delivering top quality results at honest, fair prices, TFR Construction stands out as the preferred provider of a wide range of commercial and residential concrete services in the City of Columbus and surrounding areas throughout Central Ohio. Commercial and residential services available include excavation, footers, block wall, poured walls, and concrete slabs. 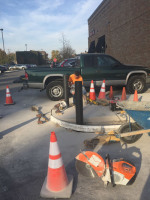 TFR Construction offers a full variety of tear out and replacement of any commercial parking lot feature. 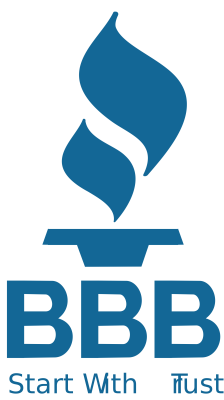 Removal, replacement, or new concrete flatwork products include sidewalks, steps, driveways, porches, patios, garages, and basements. 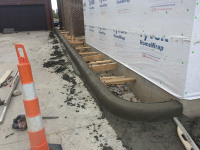 TFR Construction has highly skilled finishers that can install any type of curb product at your residence or business. 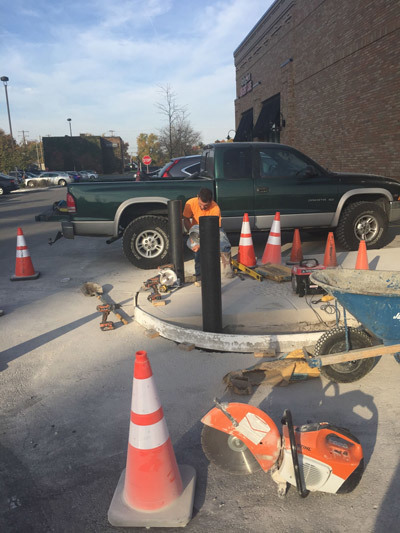 Not only can we bring in the standard curb machine, we can provide hand rolled custom curb solutions to meet your exact requirements and aesthetic needs. 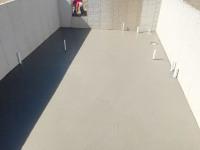 We offer a wide variety of custom concrete products to meet the needs of your new and improved look. We provide great steel and concrete reinforced solutions for the entrance to your business or protection of building and property features. TFR Construction can handle all of your outdoor patio needs and accessories. TFR Construction is the go-to General Contractor for your next home remodeling project in Central Ohio. 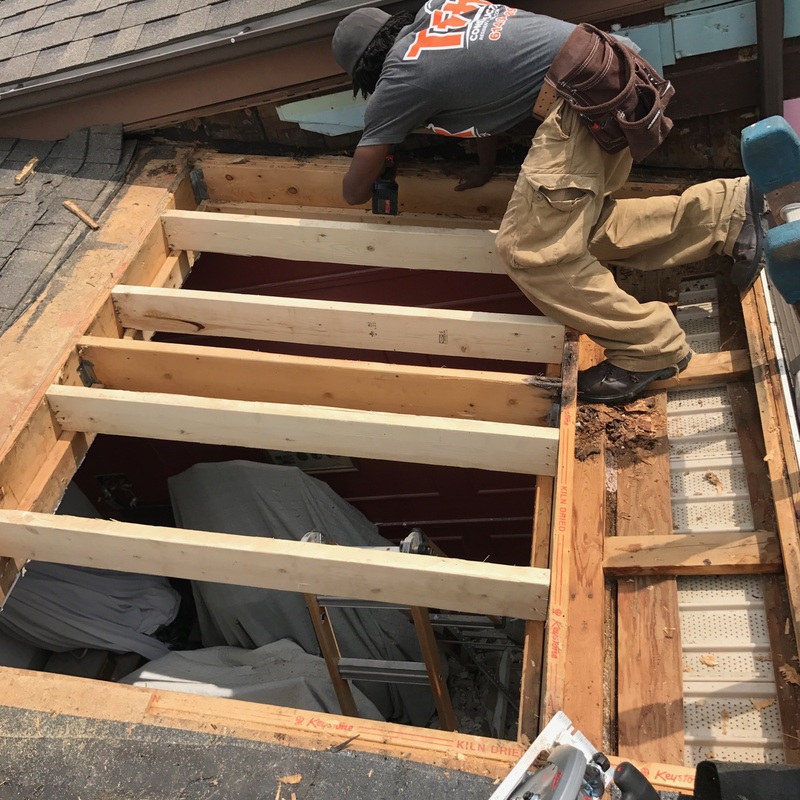 With a highly experienced management team and trained building trades employees, TFR Construction should be at the top of your list for home remodeling services in the City of Columbus and surrounding areas throughout Central Ohio. Rehabilitation of your existing porch or construction of a new addition. TFR Construction offers a full variety demolition and new construction of any commercial tenant space. 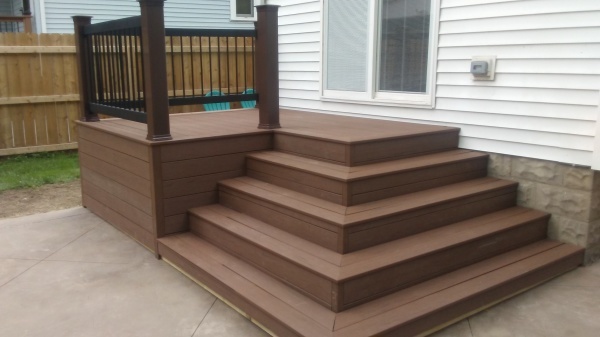 Any size or configuration of decking with custom steps. TFR Construction has highly skilled carpenters that can restore your historic home to a new fresh look while following all of the historic regulations of your community. 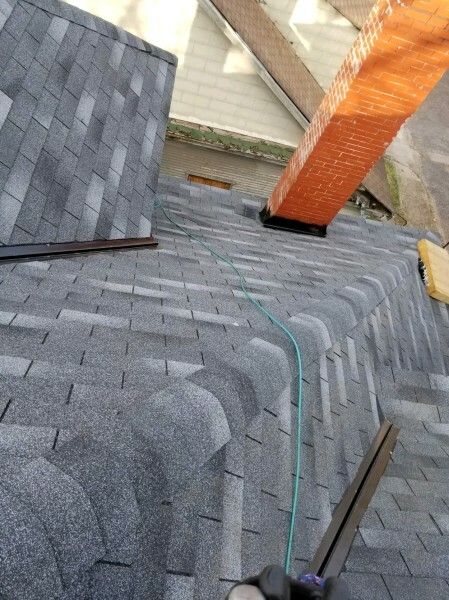 TFR Construction offers a wide variety of roofing product with exceptional materials and guarantees. 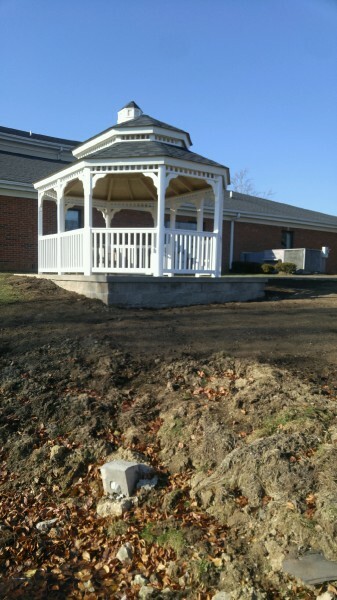 We will excavate your site, pour the concrete base, and construct your custom or kit gazebo or pavillion. 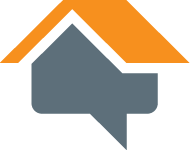 With a 5-Star rating from Homeadvisor.com and Facebook, TFR has a long list of highly satisfied clients served since 2015. 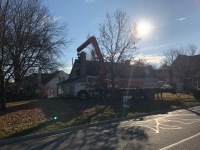 TFR Construction has quickly established a solid reputation as the go-to construction services company residential clients, commercial clients, and contractors turn to for exceptional construction services at very reasonable costs. Here at TFR, your needs always come first. We take the time to listen and understand your vision for your construction project in order to provide you with customized solutions that are tailored to your needs. We maintain open communication lines with our clients every step of the way throughout the construction process to ensure that all our efforts are aligned with your vision for your project. 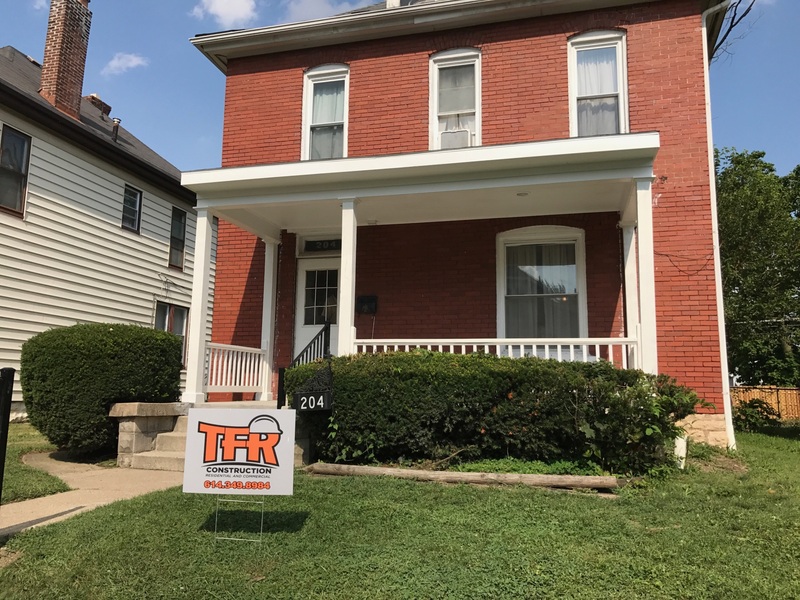 So if you're in Central Ohio and are on the lookout for top-notch residential and commercial construction services you can trust, there's only one name to keep in mind - TFR Construction!